Like many artists before her, Frida was taken by the effect of California’s bright sunlight on nature’s colors. 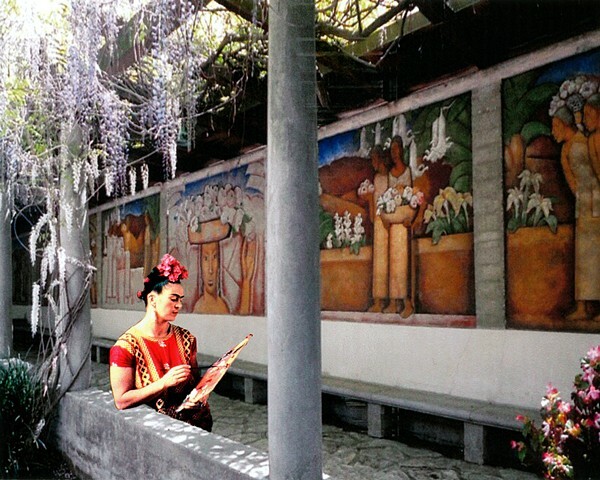 She quickly returned to visit the murals of Alfredo Ramos Martinez on the campus of Scripps College in Claremont, just east of Los Angeles. She wanted to capture, through sketches, the vibrant colors which resulted from the sunlight and the choice of Ramos Martinez’ colors.